Wakanda Forever! To celebrate the monetary milestones reached by the Black Panther movie, DST is returning to Wakanda to create the ultimate Black Panther collectible! 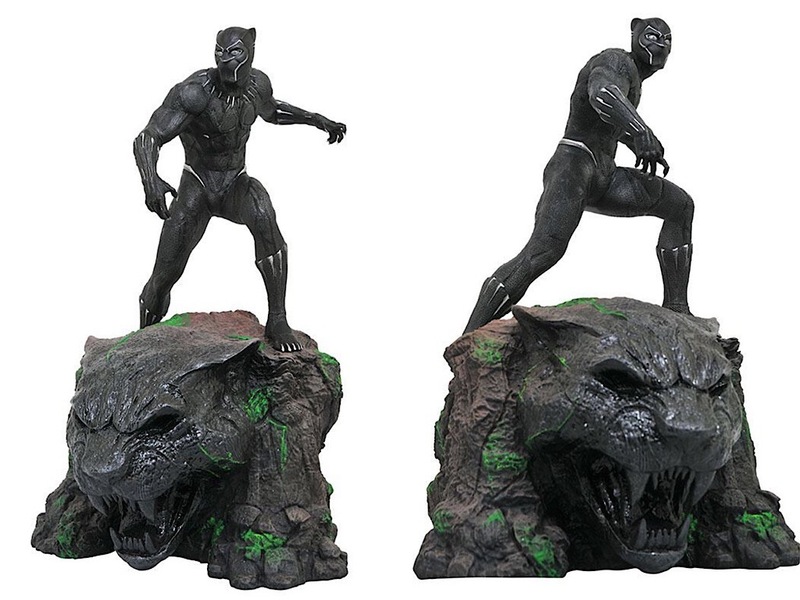 This approximately 14” resin statue depicts the Black Panther himself crouching atop a massive panther statue in his native land. Sculpted by Rocco Tartamella, this statue is limited to an edition of only 1,000 pieces, this incredible statue is the ultimate collectible for fans of the Black Panther movie or comics. Includes numbered certificate of authenticity in a full-color, hand-numbered box.